The first, foremost and most important of all of the 20 Universal Laws is the Law of Harmony. Everything around you is energy, including your thoughts and feelings. For example, empaths can intuitively feel and perceive other people’s emotions and feelings without the other person saying a word. These energies create vibrations that are either harmonious or disharmonious with the Universe and can not only affect you, but the people you come in contact with. Perhaps this explains why the mainstream media and most governments try to keep us living in a perpetual state of fear? When we live in fear, we can be easily controlled. Negative emotions, such as fear, jealousy and envy, will keep you living in a state of disharmony and create blockages which in turn, will bring repetitive cycles of negative emotions and experiences until you can finally release whatever disharmonious emotion or experience that is attached to you. For example, when we get angry at someone, it usually isn’t something we personally dislike within that person, but more likely, it is something that we fear within ourselves. This provides us an OPPORTUNITY to overcome this fear or negative emotion through self-reflection while helping us on our spiritual progressions. All 20 Universal Laws are linked to the first law. And for those to which these ideas seem just mere “esoteric stuff” utterly unscientific, we will try to explain how much they’re actually linked to scientific facts and show that maybe the ancients had better knowledge about the construction of this universe because their approach was different and more humble than the approach of modern science. Most people do not actually understand what “harmony” really is. It is true that sending love and light into the world around you will bring positive energy back to you and that negative energy will ultimately turn your personal universe towards negativity. This will influence everybody around you and finally build a chain of positive or negative realities of which you are a basic part. But this sounds very much like the Law of Attraction, which is the last of all laws. It seems that the first and the last law are linked in a particular way, as if a circle were closing at this point. Why is this? There’s in fact a physical law behind what’s called harmony. It is a simple fact and is being used in scientific reality every day. The law refers to any kind of vibration, as harmony actually is something that comes with frequency. The period is the duration of one cycle in a repeating event, so the period is the reciprocal of the frequency. For example, if a newborn baby’s heart beats at a frequency of 120 times a minute, its period (the interval between beats) is half a second. (Wikipedia). For periodic waves in nondispersive media (that is, media in which the wave speed is independent of frequency), frequency has an inverse relationship to the wavelength, λ (lambda). Even in dispersive media, the frequency f of a sinusoidal wave is equal to the phase velocity v of the wave divided by the wavelength λ of the wave. In the special case of electromagnetic waves moving through a vacuum, then v = c, where c is the speed of light in a vacuum. When waves from a monochrome source travel from one medium to another, their frequency remains the same—only their wavelength and speed change. Visible light is an electromagnetic wave, consisting of oscillating electric and magnetic fields traveling through space. The frequency of the wave determines its color: 4×1014 Hz is red light, 8×1014 Hz is violet light, and between these (in the range 4-8×1014 Hz) are all the other colors of the rainbow. An electromagnetic wave can have a frequency less than 4×1014 Hz, but it will be invisible to the human eye; such waves are called infrared (IR) radiation. At even lower frequency, the wave is called a microwave, and at still lower frequencies it is called a radio wave. Likewise, an electromagnetic wave can have a frequency higher than 8×1014 Hz, but it will be invisible to the human eye; such waves are called ultraviolet (UV) radiation. Even higher-frequency waves are called X-rays, and higher still are gamma rays. All of these waves, from the lowest-frequency radio waves to the highest-frequency gamma rays, are fundamentally the same, and they are all called electromagnetic radiation. They all travel through a vacuum at the same speed (the speed of light), giving them wavelengths inversely proportional to their frequencies. In dispersive media, such as glass, the speed depends somewhat on frequency, so the wavelength is not quite inversely proportional to frequency. Sound propagates as mechanical vibration waves of pressure and displacement, in air or other substances. Frequency is the property of sound that most determines pitch. The frequencies an ear can hear are limited to a specific range of frequencies. The audible frequency range for humans is typically given as being between about 20 Hz and 20,000 Hz (20 kHz), though the high frequency limit usually reduces with age. Other species have different hearing ranges. For example, some dog breeds can perceive vibrations up to 60,000 Hz. In many media, such as air, the speed of sound is approximately independent of frequency, so the wavelength of the sound waves (distance between repetitions) is approximately inversely proportional to frequency. Now imagine that what generates the frequency is the chord of a violin. The frequency of this chord will depend on its length. When you pass the bow on the chord, it will vibrate with the given frequency, let’s say 440 Hertz. This corresponds to the tone A (LA). When you know put your finger on the chord dividing it in two exact halves, it will still give you an A, but now with the double number of events per seconds – 880 Hertz. In musics, the difference between the two tones is called an “octave”: the eigth step of the 8-step-tone-scale. We have now basically created a mathematical relation, the relation of 1:2. If we change the position of our finger on the chord in a special way, we will get other tones of the same scale. These tones have unavoidably to vibrate in a harmonic relation to our basic tone, otherwise we will produce a concert that everybody runs away from! This happens because every tone, or every vibration in nature, comes with its proper harmonics. We do not hear these harmonics, but their presence defines our feeling and hearing. We’re unable to listen with pleasure to a piece of music that uses all frequencies, without caring about their harmonics. 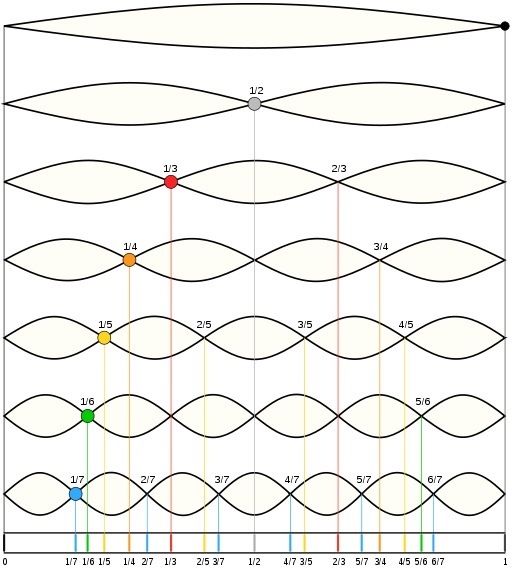 The mathematical reality behind these harmonics looks like this: a frequency comes with its harmonics that vibrate in the relation of 1:2 (ocatve), 1:3 (fifth), 1:4 (third)… etc. This is true for every single frequency in this universe. From this law depends also what we call “resonance”: only what vibrates in a harmonic way with a given frequency, will resonate with it. If now we apply this law to every single vibration in the universe, assuming that everything in the universe is bascially vibration, we get a slight understanding of why it could be that our personal attitude, feelings, thoughts and actions actually create the universe around us. The Law of Harmony is probably part of the Law of Creation. It is the perceibavble effect of an underlying logic on which the universe was created. The Law of Attraction is nothing but the Law of Resonance, which is basically the consequence of the harmony we create. These are the bases. We have been able to use these facts in science. But until now, we’ve not been able to use them in our real life. We’re still being loaded with negative inputs, and this is where manipulation starts. Consciousness is not dreaming ourselves away after having personally evolved. Consciousness means also understanding the very bases of what creates the world around us. We consider it therefore indispensable to try to make people aware of these basics to show them how important and real their proper attitudes, thoughts and actions are – and how important it is not to get trapped in the web of negative information they’ve been feeding is with for ages. Astrophysicists studying a black hole known as Swift J1357.2-0933 say they have discovered a mysterious structure. It is shaped like a torus spouting out both sides of the doughnut-shaped galaxy’s center. This particular study marked the first ever ‘view’ of a black hole from a 75% inclination, which means this could very well be the rule as opposed to the exception. Only 5,000 light years away from our own Milky Way galaxy, the Swift J1357.2-binary system 0933 consists of a collapsing star that feeds a black hole. By detecting an above average rate of high energy eclipses, astronomers were able to deduce that something is triggering 30% increases in energy production in just seven second intervals. That something is a torus-shaped structure that behaves like a wave, starting very near the black hole singularity and then receding outward in waves to the accretion disk at the outer edge of the galaxy’s center. 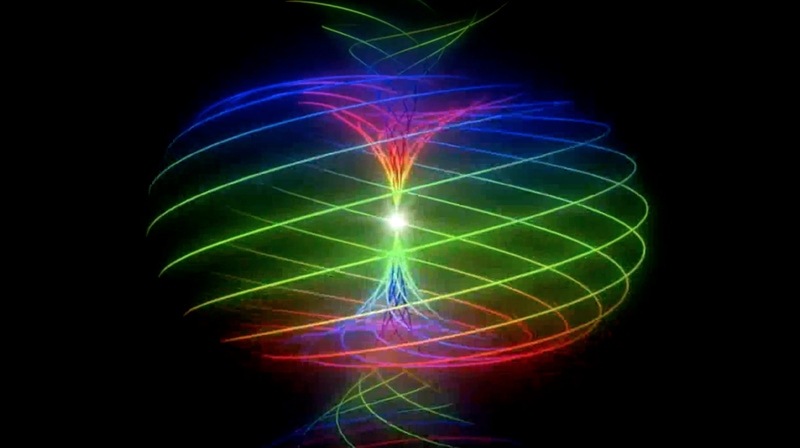 Some have speculated that the torus, a recurring pattern found in atoms and galaxies alike, is a universal template for equilibrium and sustainability. The Thrive movement is a proponent of the incredible, untapped powers of the torus, claiming that not only is it a wellspring for universal energy, it may very well enable extraterrestrial civilizations to travel between star systems. The discovery of a torus at the center of a black hole is thus interesting not only on a scientific basis, but as a xenological thought experiment too. A while back we posted about the possibility of advanced civilizations actually living in black holes and harnessing the incomprehensible energy there. Indeed, many prominent scientists, including Stephen Hawking, have speculated that post-singularity alien civilizations may harvest energy from galactic centers that contain black holes, which emit exponentially more energy than single stars. 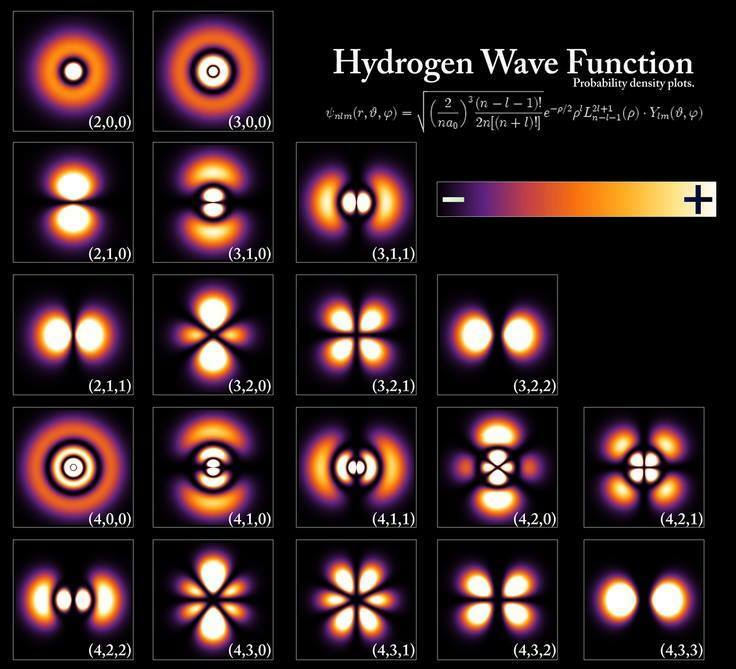 The fundamental dynamics of space-time (the Torus) are revealed by the wave functions of the universe’s most simple atomic structure: Hydrogen. THEY really are picking up Good Vibrations. Some solar cells convert sunlight into electricity more efficiently when loud music is played to them – as long as it is pop rather than classical. 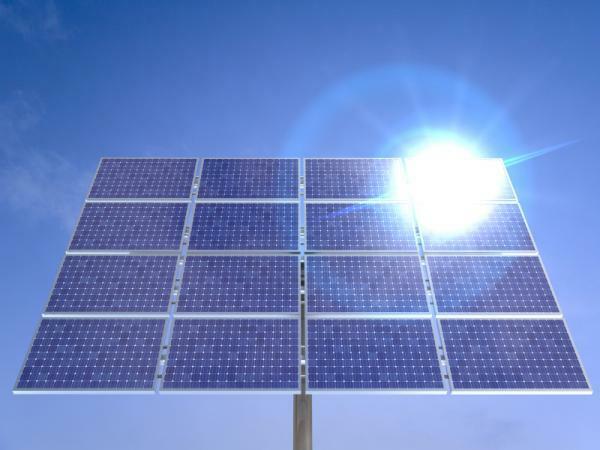 Traditional silicon-based solar cells convert sunlight into electricity efficiently, but they can be awkward to work with and expensive to produce. So Steve Dunn at Queen Mary University in London and James Durrant at Imperial College London have been experimenting with zinc oxide, which is much cheaper and can be made into thin, flexible films. The only drawback is that its efficiency is just 1.2 per cent, a small fraction of what silicon is capable of. To improve this, Dunn and Durrant took advantage of another of zinc oxide’s properties. Nanoscale rods of the material wobble in response to mechanical stress – such as the vibrations produced by sound – and generate an electric field. “We tried our initial tests with various types of music, including pop, rock and classical,” says Dunn. Rock and pop were the most effective, perhaps because they have a wider range of frequencies. Using a signal generator to produce precisely measured sounds similar to ambient noise they saw a 50 per cent increase in efficiency, rising from 1.2 per cent without sound to 1.8 per cent with sound (Advanced Materials, DOI: 10.1002/adma.201303304). The discovery could lead to the development of zinc-oxide solar arrays that can be deployed in noisy public places – next to busy roads, for example. This article, originally posted on the Removingshackles blog, can not be supported by science at its actual status quo and was therefore posted in “Theories”. Yet, we found that it links to several scientific theories, especially of Quantum Theory, and provides many interesting ideas worth to be kept in mind and subject to further investigation. It is also being posted in our research project section as it touches basic questions being covered by the programm of Mystica’s research. I’ve put together a smorgasbord of articles that we have been reading, re-reading and discussing over the past month or so. Suddenly more and more of these topics are coming out into the lime light of the almost main stream and main stream media. Our DNA holds the key to the universe. Literally. I’ve posted excerpts of several articles below, with their corresponding links. Take a wander through the information and ask yourself “What do I know?” then sit back and enjoy the information over load. Homework: Look up Melanin – with special attention to neuro melanin- and melatonin. Connect the dots to the pineal and pituitary factories… I mean, glands. Follow the dots to what “they” don’t want you to know and how they’ve tried to keep you from finding out. 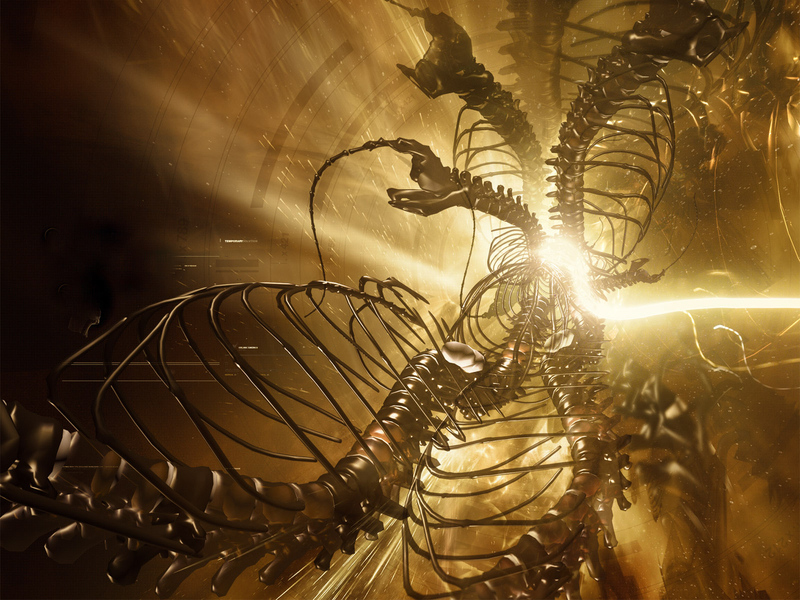 Can Our DNA Electomagnetically Teleport Itself? …Essentially, they took two test tubes – one containing a fragment of DNA about 100 bases long, another containing pure water – and isolated them in a chamber that muted the earth’s natural electromagnetic field to keep it from muddying the results. The test tubes were housed within a copper coil emanating a weak electromagnetic field. Several hours later, the contents of both test tubes were put through polymerase chain reactions to identify any remnants of DNA – a process that subjected the contents to enzymes that would make copies of any DNA fragments they found. According to Montagnier, the DNA was recovered from both tubes even though the second should have only contained water. Montagnier and his team say this suggests DNA emits its own electromagnetic signals that imprint the DNA’s structure on other molecules (like water). Ostensibly this means DNA can project itself from one cell to the next, where copies could be made – something like quantum teleportation of genetic material, a notion that is spooky on multiple levels. These were experiments done by the military. Leukocytes (white blood cells) were collected for DNA from donors and placed into chambers so they could be measure electrical changes. In this experiment, the donor was placed in one room and subjected to “emotional stimulation” consisting of video clips, which generated different emotions in the donor. The DNA was placed in a different room in the same building. Both the donor and his DNA were monitored and as the donor exhibited emotional peaks or valleys (measured by electrical responses), the DNA exhibited the IDENTICAL RESPONSES AT THE EXACT SAME TIME. There was no lag time, no transmission time. The DNA peaks and valleys EXACTLY MATCHED the peaks and valleys of the donor in time. The military wanted to see how far away they could separate the donor from his DNA and still get this effect. They stopped testing after they separated the DNA and the donor by 50 miles and STILL had the SAME result. No lag time; no transmission time. The DNA and the donor had the same identical responses in time. What can this mean? Gregg Braden says it means that living cells communicate through a previously unrecognized form of energy. This energy is not affected by time and distance. This is a non-local form of energy, an energy that already exists everywhere, all the time. The Russian biophysicist and molecular biologist Pjotr Garjajev and his colleagues also explored the vibrational behavior of DNA. This means that they managed, for example, to modulate certain frequency patterns (sound) onto a laser-like ray, which then influenced the DNA frequency — and thus altered the genetic information itself. Since the basic structures of DNA-alkaline pairs and language (as explained earlier) are similar, no DNA decoding is necessary. One can simply use words and sentences of the human language! This, too, was experimentally proven. Living DNA substance (in living tissue, not in vitro) will always react to laser beams that have been modulated by language, and even to radio waves, if the proper frequencies (sound) are being used. This scientifically explains why affirmations, hypnosis and the like can have such strong effects on humans and their bodies. It is entirely normal and natural for our DNA to react to language…. [This is the same problem we have with Masaru Emoto’s experiments where water freezes into beautiful crystals in the presence of positive emotional energy and / or creates discordant structures in the presence of negative emotional energy — as featured in “What the Bleep Do We Know” and other sources. We have not yet seen conclusive evidence that Emoto has found a way to insure that the person operating the microscope, observing and photographing the crystals as they form, isn’t mentally affecting how the water crystallizes in real time, thus producing the desired results with his / her own intent. The Emoto experiment with sound, emotions and water crystals is an interesting one. My husband and I discussed this for quite a while – using the choices of music as a basis, and I have to agree with Nick: if the scientist doing the study loves classical music and hates hard rock, then quantum physics supports the theory that his intense emotional response to the types of music used in the experiment would absolutely effect the final outcome of the experiment! Our question is: Did he have people with different tastes in music do the experiment? Did he have someone who loves heavy metal music test his theory about the effects of sound on water crystals? Or someone who loves fusion jazz? Compared to someone who loves Mozart? The Law of vibration might not be as well known as the Law of Attraction. However – the Law of Vibration serves as the foundation for the Law of Attraction. To understand this it is important to know that everything is energy. Science, through Quantum Physics, is showing us that everything in our universe is energy. When we go down on a sub-atomic level we do not find matter, but pure energy. Some called this the unified field or the matrix. Others talk about pure potentiality – all being energy. This Universal Law states that everything in the Universe moves and vibrates – everything is vibrating at one speed or another. Nothing rests. Everything you see around you is vibrating at one frequency or another and so are you. However your frequency is different from other things in the universe – hence it seems like you are separated from what you see around you – people, animals, plants, trees and so on. BUT you are not separated – you are in fact living in an ocean of energy – we all are. We are all connected at the lowest level – a level professor John Hagelin calls the unified field. Every layer of consciousness above the lesser ones, has the awareness of all the lower-level layers too. For example, when we are trapped in a traffic jam, we feel much like part of a herd. We are feeling the layer of Stimulus Response. Yet when we are feeling like we are an individual, there is an extreme difference in our awareness. This understanding of higher levels of consciousness is very important. The importance lies within the fact that Consciousness is the Source of Everything and we have the awareness of every layer of consciousness in existence. 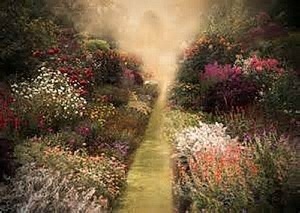 This is significant because it allows us the privilege to attract and to attach to any energy field. We have the ability to vibrate at different frequencies and manifest different energy fields into matter depending on our level of consciousness. Using the principle of resonance, we can actually increase the speed at which the energy field of our bodies and minds vibrates, through higher frequency thoughts of love, joy and gratitude and accessing even higher consciousness states via meditation. Modern science demonstrates that when pure energy slows down, lower dimensional matter is created; conversely when the vibration field speeds up, the higher dimensions of consciousness can be accessed. And the higher our consciousness is raised, the closer to the Source we become. “In the beginning was the Word”, the primordial vibration of sound and light, which according to thousands of years old Vedic science resonates to different phonetic sounds at different levels including the original “Aum”! DNA must work together in the Human body for the intelligence of what we call the innate of the Human body to function. All of DNA must work as one. From the top of your head to your toes, these molecules must act as one set of instructions. This is unique information, and there is no other Human Being on the planet that has your DNA. Therefore, you must acknowledge that there is something that must happen within your body that connects all DNA together. Otherwise, you could not function. There must be communication between DNA molecules. This is where the genes are produced, and this is where the information is that is your Higher-Self. This is the Akashic Record and it must all vibrate together as one, trillions of parts as one. So we say it to you, for physicists to see, and for them to understand finally that the Human Being has DNA that is in an entangled state*. That is to say it is locked into one state and the parts behave as one. There is an attribute of physics that has not been seen or discussed yet and I give it here for the first time so you will understand a little bit more about how it works. But more than that, when it is discovered you will remember where you heard it. If you have multiple quantum fields around molecules, that means that they must overlap. So the fields overlap one another and you already have the science that shows you what happens – multiple overlapping magnetic fields occur. Magnetics is a quantum energy, so the results of the DNA are similar. There’s magic that takes place, which even science does not understand, called inductance. In your everyday life, you see this when you look at the magnetic field of the sun, which is called the heliosphere (solar wind), interfering with the magnetic field of the earth, which is the magnetic grid. You get sparks! The Aurora Borealis. That is what happens when magnetic fields overlap. In this state, information is transmitted, and in electronics this attribute is well known and used every day. Now, if you were then to have not a magnetic field, but a quantum field around every molecule, I will tell you that you don’t get sparks, you get a designer entangled state. Overlapping quantum fields are attributes that have not yet been studied, recognized, or measured. When they do, they will see the mechanics of an entangled state that then creates an overall field that is much larger around the Human Being. What might be in that field around the Human Being, which is measured at 8 meters wide? And, has it ever been seen? The answer is yes! You’ll find it in your scriptures, the old ones in Second Kings [Holy Bible]. For again we say it was Elisha who saw the master Elijah ascend of his own will, and on the ground his field glowed. It illuminated and he left the planet in a bubble of light, a vehicle that took him. Elisha named the vehicle (in Hebrew), which means “to ride.” It became the Merkabah. So now you have a name for it, and one that is recognized not only by the ancients in spiritual lands, but also to this day by those who see it with second sight. It is the quantum field of the Human Being – the Merkabah. So the Merkabah is really a quantum field, and this field is filled with information. The information that it is filled with seems to be non-structured to you, but it actually is quite structured as we see it. It is the matrix of the templates of the Human Being himself, and it is ready and waiting to be altered by another quantum field, and that field is called consciousness. Now I haven’t mentioned Gaia yet, have I? All of this is leading up to tell you something that I have only hinted at before on how it works…. And of course, the work of GW Hardin on the subject of DNA, frequencies and quantum fields is beyond excellent and incredibly eye/mind opening!! GW…. I hope you have a chance to read this compendium of articles that I’ve put together here. My DNA is exploding with excitement right now- at this moment of NOW. …Out of Germany comes the equally mind-boggling work with DNA by theoretical physicist Fritz-Albert Popp, PhD. His work with studying how the DNA of living cells stores and releases photons led Popp to the conclusion that “We now know, today, that man is essentially a being of light.” From the work done by Popp, he keyed the term “biophotons” to differentiate the astounding implications of ordinary light versus biophotonic light, or what others call “higher-dimensional light.” Not only does living DNA communicate with other DNA in the body with these biophotons, it also has the capability of communicating to other bodies, and even other lifeforms. ….The structure of the DNA molecule—the double helix, chromatin fibers, solenoids, and the hollow tube—all contribute to this fractal structure acting like an antenna capable of responding to frequencies of a wide range. Blank concludes, “In a nutshell, the human body is constructed with a fractal antenna inside each and every cell, which responds to the entire range of frequencies on the EMF spectrum!” This is far-reaching in it’s implications as we shall see in section three. Blank notes, in parallel fashion to the findings of Dr. Konstantin Meyl (who I write about regarding the DNA tesseract in my previous article), that the hydrogen electrons in DNA conduct electricity. Meyl shows how the spiral paths of these electrons in an electron cloud also creates scalar waves, which also turns the DNA into a transmitting antenna as well as a resonant receiving scalar antenna. As a fractal antenna, DNA interacts with the vacuum/aether/zero-point field, transducing the zero-point energy which interacts with our consciousness. A greater interaction between our DNA and the torsion and/or scalar forces in the vacuum might equate to expanded consciousness, while a lesser interactivity would result in a contracted awareness. Thus, “certain modular arrangements of DNA would be more conducive to conscious awareness. What does this mean? It’s a further affirmation of the notion expressed in Dr. Garjajev’s work … that we hold within us the “godlike power to to create, alter, and shape things on Earth!” This is the hidden key … if we choose to pick it up. This means that humanity may have stumbled upon the bridge that directly connects our humanity—our souls—to Source … The Creator….. The closing comments of this article from American Kabuki from Hardin open the door to a whole new universe. Not New/Old tech, but Eternal/Internal Tech…. and no, we don’t have to wait!!!! …In the future I will reveal even more about how humans not only can learn about this great secret held within them, but how they can change reality with the DNA tesseract (those who have been to my lectures have seen me demonstrate this before an audience), how humanity has access to dimensions that make the idea of scarcity or “not enough energy” or the notion of continual pain in our world obsolete. What Dr. Meyl has discovered is that human DNA can be the bedrock of telepathy, and scalar wave technology the source of an entirely new telecommunications system that can still work with cell phones but in a faster, cheaper, and far more environmentally safe way. Meyl has brought together the mystery of Tesla, the Black Hole/White Whole model of Nassim Haramein, and the mathematics of nature as found in Marko Rodin’s work. He has done this in such a way that humanity will soon find out that we possess within us a power we never dreamed possible—the Power of Wellness, the Power of Wholeness, and the Power of Oneness. And this power gives us the ability to collectively recreate Eden on Earth. And honestly, we don’t even have to wait.